On a couple of the courses that I teach on at the Centre (Meaningful Activity for People with Dementia and Understanding Distressed Behaviour) I find that participants sometimes come with the expectation that I will impart to them a "magic list" of meaningful activities to do with people living with dementia or a magic list of interventions to get an individual to stop doing something that the participant sees as problematic. Even as we discuss the process for understanding what makes an activity meaningful or identifying the need at the heart of a behaviour, they wait patiently for an easier answer to their question. They will be waiting in vain, because there are no magic lists. However, we do discuss how social and emotional needs can be met through meaningful activity. Tom Kitwood, a pioneer of culture change in dementia care, wrote at length about the social and emotional needs that must be supported in people living with dementia. He identified love, attachment, inclusion, identity, comfort, and occupation as basic needs that must be addressed in dementia care. These needs are universal, but how those needs are met is different for each of us. While most of us find ways of meeting our social and emotional needs, it can become more difficult to get these needs met independently as an individual’s dementia progresses. This makes it vital that we recognise and address these needs within our supportive care environments. Thinking about what meets these needs for each individual person is how we begin the process of building a meaningful activity programme. I know from my own experience in care that we can understand that each person is unique, but when it comes down to it most of us are still hoping that someone holds that one size fits all answer to supporting the emotional needs of people with dementia. The reality is that unless we do the work of creating a relationship and getting to know that individual for who they are, not as a person living with dementia, but as a person, we cannot consistently create meaningful activities or appropriate interventions during times of distress. There are no quick forms or shortcuts to this process. But what do people living with dementia say about what makes activity meaningful for them? I recently ran across an article that examined studies where people living with dementia talked about what was meaningful for them in activity pursuit. The researchers looked at 34 studies from 11 different countries in which the words and voices of individuals living with dementia from many different cultures were represented. From the responses of individuals in each of the studies, themes were formed around what mattered to people about the activities they engaged in. I was struck by how closely the individual responses generated in the studies reviewed reflected those basic social and emotional needs that Kitwood identified. Though it is possible to identify universal themes like the ones above about what makes activity meaningful across individuals and across culture, it is not possible to create a list of specific activities that addresses those needs for connection across all people. In order to be meaningful activity it must be personalised and unique to the person being supported. The first step for anyone seeking to create meaningful activity is to get to know the individual they are supporting. Making Acticity Meaningful for People with Dementia is a training program from DSDC is run on a regular basis, here participants will gain the knowledge and skills to develop a varied programme of activity in care settings which are person-centred and meaningful. Han, A. [et al.] 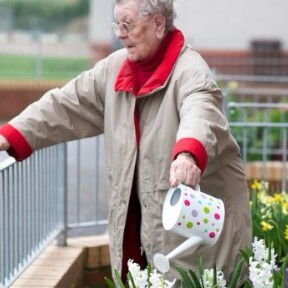 (2015) Perspectives of People with Dementia About Meaningful Activities: A Synthesis. American Journal of Alzheimer’s Disease & Other Dementias 31(2) 115-123. Kitwood T. Dementia reconsidered: The person comes first. Buckingham: Open University Press, 1997.